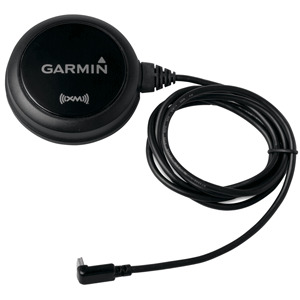 The GXM 40 Smart Antenna delivers XM WX Satellite Weather, XM Satellite Radio and XM NavTraffic to the GPSMAP 640. With a subscription to these XM services, users can check weather, listen to music and even avoid traffic backups on the road. Included with the GXM 40 are a flange mount, magnetic mount, 6ft extension cable and owner?s manual. Setting up the GXM 40 is fast and easy. Simply position the antenna where it has a clear view of the sky and connect it directly to the USB port on your unit. Then choose the XM subscription that best fits your needs to start receiving XM satellite services. The type of information GXM 40 provides to your unit depends on your subscription package. Compatible automotive units display traffic, which includes basic weather information, with a subscription to XM NavTraffic™. Automotive units can also play XM Satellite radio.